wow- thanks for sharing. very interesting post. Oooh this looks a great coffee table book. Hope all is good with you Valeria! Hi! Thank you for your lovely comment the ohter day in my blog! Of course i follow you in GFc and Bloglovin, and you? ciao cara! questo è davvero molto interessante!!! da non perdere!!! 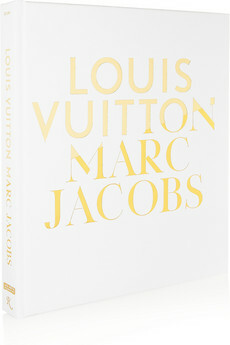 I really buy a lot of books and of course a large ammount of them are fashion.. this one I did not know of.. but I'm gonna google it for sure.. This is definitely a collector's item! There is a sneak peak on Amazon so you can get an idea for the details inside! Your blog is so cool, dear! Adoro lo stile di marc jacobs, è un genio! Sono davvero felice che le mie foto piacciano così tanto; non ci avrei mai creduto! Martedì dovrebbe uscire la mia recensione su Vanity Fair-Traveller...e incrocio le dita che ne venga fuori qualcosa di buono! im sure must be so so interesting !! !